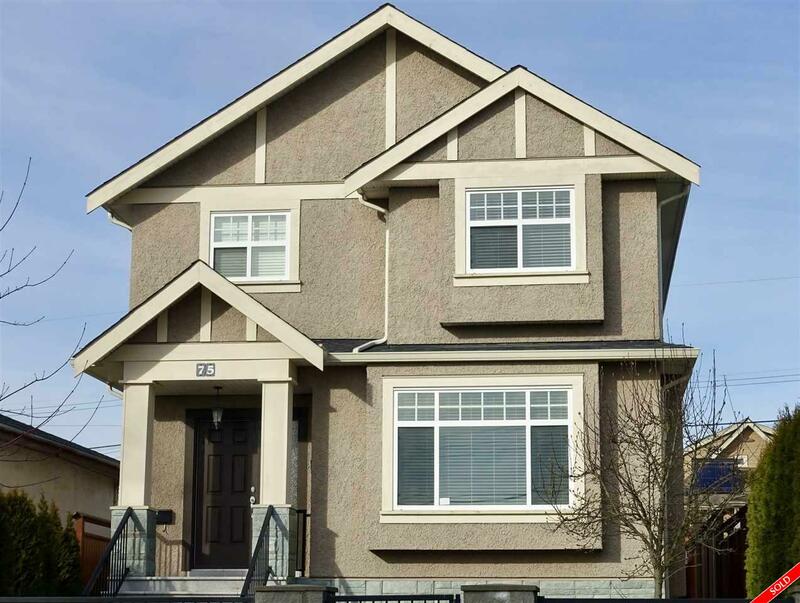 Description: This West-side family home has it all, w/ heated floors, air conditioning & HRV. Built in 2010 on a 33' x 122' lot, this home boasts a fantastic floor-plan. On the main you'll find living & dining, kitchen w/eating area that opens to a large family rm, plus powder rm & office. Upstairs is laundry, 3 large bdrms all with own en-suites, including master with walk-in closet. Downstairs you'll find an additional bdrm & bthrm for upstairs use, plus a 2 bdrm legal basement suite, or easily rented as a 3 bdrm/2 bthrm suite! Walk outside to a fully fenced backyard, hot-tub & detached 2-car garage. Located in the sought-after neighborhood of Cambie/Main St. School catchment: Van Horne Elem & Eric Hamber High.